In the elections for the Bundestag (German national parliament), the votes for the parties of the governing coalition fell drastically. How could this happen? After the last Bundestag elections, the CDU/CSU and SPD still had 67.2 percent of the votes cast. Now it's just 53.5 percent. This is a dramatic decline of 20.5 percent. In 2002, this figure was still 77 percent. The CDU/CSU has become the strongest party with just 32.9 percent, which are its worst election results since 1949. The SPD plummeted to 20.5 percent. It has never finished off so badly in the history of the Federal Republic of Germany. The erosion of the social democratic mass base, especially among workers, is progressing. The parties of the Grand Coalition were punished for their antipeople policies. A mass of people do not support the government's shift to the right. Angela Merkel's "Continue as it is" policy has failed, as has SPD chancellor candidate Martin Schulz's attempt to appear under the cloak of more social justice. The election campaign of the Internationalist List/MLPD made a good contribution to this. This applies to their refreshing attacks on the whole range of the government's social, domestic and foreign policy. And especially to their convincing and sustainable alternatives for the future. In the new federal states, the CDU dropped to 27.6 percent and the SPD to just 13.9 percent. The main beneficiaries of this protest potential were the ultra-reactionary, nationalist and proto-fascist AfD and the FDP. The election results are an expression of the further shift to the right of the government and the bourgeois parties. Following the state elections in North Rhine-Westphalia in May, the AfD fell to as low as seven percent in the opinion polls in conjunction with a relative stabilization of the Merkel government. In this situation, the government and monopolies launched a "left-wing extremism" campaign with the climax of provoked and sometimes staged riots and downright state terror against the G20 protests. They aimed the main thrust against the left, trivializing the right-wing danger or dismissing it. The AfD has been massively upgraded in the media, talk shows, etc. In this way, it was given considerable leeway to put itself at the forefront of the fight against so-called "left-wing extremism". In the intensified imperialist competition, monopolies, government and bourgeois parties spread (social) chauvinism. This suggests that it is in the interest of the working class and the broad masses to identify with or even support the aims of German imperialism. This objectively gave the AfD increased importance. In the past, great care was taken to ensure that only parties with seats in the Bundestag were allowed to appear on talk shows. For years, we have seen for ourselves how revolutionary forces are marginalized with this justification. This time, as a matter of course, a representative of the AfD sat everywhere and was able to spread his nationalistic and racist slander. Does the election success of the AfD mean that the progressive change of mood initiated in 2015 has generally regressed among the masses? The AfD received 12.6 percent of the vote, and for the first time since 1961, an ultra-reactionary and proto-fascist party is entering the Bundestag. Most AfD voters voted for it because it is supposed to be the most determined way of expressing their protest. Only 31 percent of AfD voters voted for it out of conviction.1 Nevertheless, AfD voters had to be aware that they voted for an ultra-right-wing and racist party. That is therefore unacceptable as justification. The inhibition threshold to vote ultra-right has apparently fallen alarmingly. The election results show a growing potential for protest among the masses and an intensified social polarization. However, within this polarization, in particular the right-wing tendency could be strengthened in this election. We must take this very seriously. This applies above all to Saxony, where the AfD even became the strongest party, but also to southern Bavaria, where it became the second-strongest power in many cities and districts, and to some cities and city parts in the Ruhr area. The electoral successes of the AfD reflect, on the one hand, the shift of the government to the right, but also show that the progressive change of mood and class consciousness are not yet so far-reaching as to enable them to maintain their course. We need to lead a hard struggle among the masses over the mode of thinking so that they can cope with the impact of this trend to the right. However, the AfD is torn apart by internal contradictions, as the resignations of AfD leader Frauke Petry and NRW state leader Marcus Pretzell make clear. The influence of the open fascists so continues to grow. It is fortunate that the AfD is not able to attract young people. In the U18 elections, the AfD only reached 6.8 percent and in the junior elections only six percent. We will experience mass protests against the AfD, which will mainly be carried by the youth. That was already the case on the evening of the elections. The day after the election 5,000 people demonstrated against the AfD in Bremen alone. Also among women, the AfD scarcely scored points. The election results will further aggravate the political climate in the Federal Republic of Germany. Many people are justifiably very worried about the upswing for the AfD. They are very willing to cooperate with us in educating about the true face of the AfD and in the fight against its demagogic propaganda. The progressive change of mood among the masses that has been initiated thus continues to be stronger than the right-wing tendency. It is most evident in large industrial enterprises and among young people. In the elections it was expressed – influenced by the petty-bourgeois parliamentary mode of thinking – particularly in growing votes for the Left Party and the Greens. In the last few days before the election to "prevent AfD from becoming the third strongest party in the Bundestag", they gained one million votes more than in 2013 and reached a total of 18.1 percent. The Internationalist List/MLPD also gained significantly, whereas this was partly due to its clear anti-fascist profile. 86 percent of all voters surveyed explicitly criticize the strong fascist positions in the AfD. We exposed the AfD at our rallies and in many discussions as a forerunner of fascism and fought for understanding that real protest is left-wing. This political and ideological struggle against the AfD must be intensified in the future. Our "Anti-AfD brochure" came out much too late, only ten days before the election. Above all, we are still too weak to be able to counteract a broad social campaign staged to raise the status of the AfD on a corresponding level. How do these developments relate to the political environment? With the shift of government and bourgeois parties to the right and the upgrading of the AfD, the ruling classes are preparing themselves for an intensification of class contradictions. The potential for protest will increase considerably in the event of mass dismissals, attacks on social, environmental and political rights and achievements of the masses. The promotion of the AfD aims at channeling this to the right and dividing the working class. The top management of the large employers' associations shed crocodile tears in view of the strong growth of AfD. Also because this could have a detrimental effect on sales and image abroad. However, a part of the ruling classes deliberately promote this development. The AfD has a basis especially in reactionary circles of the nonmonopolist bourgeoisie or among forces from the old feudal nobility. They are pushing for a change in the methods of rule to open reaction, as we have already seen with Trump in the United States or with various European governments. The increased attacks on the MLPD and attempts to criminalize it also must be viewed in this context. The building of the AfD is thus also a preparation for a transition to an acutely revolutionary situation. For this reason the most reactionary circles of monopoly capital want to form a counterrevolutionary to fascist mass base. All in all, however, solely ruling international finance capital in Germany has so far retained the system of the petty-bourgeois mode of thinking as a method of government. Neither the progressive change of mood among the masses, nor the growing importance of the MLPD have escaped the notice of the ruling powers. We have played a decisive role in ensuring that the VW crisis did not disappear in the public debate, but that it remained the number one topic of the election campaign. Our steel factory groups are the first address among militant steel workers. The first limited and smaller strikes in the fight for every job in the steel sector were clearly assigned in public to the MLPD. Chancellor Angela Merkel took credit for the alleged "economic upswing" in Germany during the Bundestag election campaign. In fact, industrial production in Germany continues to grow at an above-average rate compared with most other countries. In the second quarter of 2017, this represents an increase of 3.1 percent as compared to the same period of the previous year. This, combined with high tax revenues, is also a basis for further granting small concessions to the masses. However, the fluctuating stagnation is continuing worldwide. Of the 34 industrialized countries in the OECD, five have recently recorded a decline in industrial production. In several countries, growth rates are rather weak. In the first quarter of 2017, industrial production in the OECD was just 99.4 percent of its peak prior to the outbreak of the global economic and financial crisis in 2008-2014. Finance policy risks such as the increasing indebtedness of national budgets and banks, speculative bubbles, etc. also contribute to the fragile situation. Global market capitalization reached a new record high in August 2017 at USD 79.832 trillion. The highest level of market capitalization before the outbreak of the global economic and financial crisis was reached in October 2007 with 63.045 trillion US dollars. That means that today it is therefore exceeded by about 25 percent.2 These are signs that a new global economic and financial crisis is on the way. The German economy, which is heavily dependent on exports, will be particularly hard hit. Generally speaking, the basis for this is the increasing chronic overaccumulation of capital without corresponding maximum profit generating investment opportunities. After the Bundestag elections, attacks on the working class and working people are likely to intensify. The question of wages and the fight for jobs will play a greater role in the social debate. After the election, a wave of dismissals and job cuts can also be expected. The threat of the destruction of up to 15,000 jobs due to the merger of the steel divisions of thyssenkrupp and the Indian Tata Group gives an idea of this. Immediately after the elections, further major mergers were announced, such as those in the railway divisions of Siemens and Alstom. Experience has shown that they are always associated with job losses. Starting from the automotive industry, a new structural crisis based on the conversion to e-mobility is clearly emerging. It is going to whirl up entire industrial sectors. We will therefore focus on work in large companies and trade unions until the spring of 2018, in conjunction with wage negotiations, especially in the metal industry and public services. What can we expect from Berlin politicians in the near future? The employers' associations are urgently calling for a stable government in order to be able to enforce their policies. But that's not what it looks like! Seven parties are represented in the Bundestag, possibly even eight – if Petry/Pretzell succeed in their "blue project". This will exacerbate the instability of the prevailing conditions. The former "popular parties" have been downgraded, and more far-reaching changes are emerging in the spectrum of parties. CDU and CSU have already announced that they will take the election successes of the AfD as justification for a sharpened shift to the right. Angela Merkel, for example, announced that she would fight "illegal migration" harder. The ultra-right-wing CSU leader Horst Seehofer sounding off about an "open flank on the right-hand side", which must be closed.3 Under the flag of an immigration law for highly-qualified persons the FDP has long been taking course on stirring up sentiments for deportation. The future government will be even more confronted with the balancing act: on the one hand, to dampen social contradictions with the help of the system of the petty-bourgeois mode of thinking as a method of governance and, at the same time, to exacerbate the shift to the right within and outside the country. Open party crises can develop such as those that have already flared up within the CSU in the days following the election. The SPD is discussing a "reorientation" of the party and Schulz as a transitional chairman. The contradictions to Merkel are also growing within the CDU. In the Left Party, a dispute is unfolding because Oskar Lafontaine is calling for his party to shift to the right in refugee policy. The core of the dispute within all parties is the question of how far one can go with the political shift to the right without alienating, splitting or losing one's own mass base. Merkel's "election victory" is a poisoned success. The government desired by the monopolies consisting of the CDU/CSU and FDP did not materialize. Whether, how and when a Jamaican coalition of CDU, CSU, FDP and the Greens will succeed is anyone's guess. The employers' associations consider it to be the most sustainable government in order to protect and enforce the interests of the ruling international monopolies. But two thirds of German citizens are dissatisfied with the outcome of the Bundestag elections! In central social issues the differences, especially in the mass base of the parties, can hardly be bridged. The SPD has announced that it will not be available as a coalition partner for the time being, but wants to join the bourgeois opposition. It notices that it can only regain ground if it presents itself with its "social democratic roots". Otherwise, there will be no stopping its free fall. Whether this succeeds is another matter. After all, the upswing came for Schulz when he initially seemed to be positioning himself against Hartz IV. In the leadership of the Left Party this has already met with enthusiasm, and Sahra Wagenknecht called for a return to the SPD's values. Thus, illusions are also increasingly being stirred up in a "red and red" cooperation, and reformism is being upgraded. In any case, the contradictions within and between the bourgeois parties and their mass base will become more acute. This will expand our leeway, which we will make optimum use of. With the successful start in building up the Internationalist Alliance, a new and forward-looking actor has entered the political stage and passed its first test with flying colors. It is exactly the right response to a growing need among the masses to join forces against the government's shift to the right as part of the progressive change of mood that has been initiated. Our increased ability to grow into our new social role in the face of a headwind must and can make a significant contribution to the further development of the alliance, especially in this situation. If one believes the battles of words and many media reports, the USA and the PR Korea are rushing unbridled towards a nuclear clash. How does MLPD position itself in this situation? US imperialism as the world's main warmonger is pursuing an aggressive and provocative course towards the People's Republic of Korea.4 Donald Trump is openly and explicitly threatening with the destruction of the country, which would mean the death of millions of people. While Merkel criticizes the provocative tones, she supports the policy of constriction and embargo against the PR Korea. We naturally have some fundamental criticisms of the leadership and the system in the PR Korea. It is not a socialist country, but a bureaucratic-capitalist system that, with its feudal-like structures and methods of rule, is a bizarre caricature of socialism. But at the same time, however, we are calling for the right of self-determination of the North Korean people and the anti-imperialist right to self-defense against attacks by US imperialism. We also reject the imperialist monopoly on nuclear weapons. It is a means of intimidating and blackmailing all other countries and peoples. Solidarity with the North Korean masses is therefore an important task in the sense of proletarian internationalism. Kim Jong-un's lack of socialist or even communist politics is also evident in the fact that he does not rely on the power of international solidarity. Instead, he himself is pursuing a provocative and aggressive course and threatens to take a nuclear first strike. This is contrary to the principles of a socialist foreign policy. However, psychological preparation for war must not simply be taken at face value. The general danger of war is worsening considerably. However, at the present time it cannot be concretely assumed that US imperialism will actually carry out a nuclear strike against the People's Republic of Korea. Only: The situation can escalate at any time out of the logic of war. The US aggression is aimed at the new-imperialist powers Russia and China, which are behind the People's Republic of Korea. Trump wants them to stop supporting the Korean missile and nuclear program and so weaken their influence in the region. However, an open exchange of hostilities over the PR Korea does not currently fit into the concept of China and Russia. China is also taking part in severe sanctions against the country. China's concessions, in turn, are tactical in nature and do not signify acceptance of the USA's claim to leadership. In Ukraine and the Middle East, too, dangerous seats of war are smoldering. These seats of war show that the interimperialist contradictions, which are intensifying further, seriously question world peace. It therefore remains an important task to develop active resistance to maintain world peace with a clear anti-imperialist thrust. The increased internal reaction is also intended to ensure intensified aggression in foreign policy. The promotion of ultra-reactionary parties and forces such as the AfD creates a nationalistic, chauvinist mass base for future armed conflicts. This makes it all the more important to attach greater importance to anti-imperialist enlightenment and awareness raising among the workers and the broad masses. How do you evaluate the election results of the Internationalist List/MLPD? The Internationalist List/MLPD was elected by at least 62,000 people in real terms. This is 77 percent more than in 2013, and it is the highest result to date in MLPD's election campaigns. These are 6,097 more voters than in 2005; 19,005 more than in 2009 and 27,258 more voters than in 2013. Up till now the highest number of votes for MLPD had been reached in the 2005 Bundestag elections with 56,000. At that time, we also benefited from a spontaneous attraction in connection with the Monday Demonstration movement in 2004 and the company-wide strikes. In contrast, the present votes were given much more consciously. They are based more on systematic, all-round rank-and-file work, not least in cities with a strong industrial proletariat. This time we received 29,928 second votes, 18 percent more than in 2013, which means a positive turnaround, because the second votes had declined since 2005 when we participated in elections. These second votes have a greater political weight than the first votes, as they are given more consciously. We have mainly increased the number of first votes. 39,411 people voted for the 121 candidates of the Internationalist List/MLPD or the individual candidates of the Internationalist Alliance. This shows the immense importance of our policy being known and associated with active, convincing people. Compared to the last Bundestag elections, when we entered with 41 direct candidates, the first votes tripled. There were many direct candidates who had already taken part in previous elections and who were able to increase their votes in good numbers. Others ran in completely new regions for the first time. Increasing the number of direct candidates in this way is already an expression of the strengthening of the Internationalist List/MLPD. This meant that 20,000 more signatures had to be collected for this purpose. Some candidates were not aligned with any party, and ten nationalities were on our lists, which came from eight different supporting organizations of the Internationalist Alliance. In this way, more people could express their support for the Internationalist List/MLPD in one way or another. All votes for the Internationalist List/MLPD have weight – also for the future. They are votes for a determined policy for workers, votes for solidarity with just struggles for liberation, for the promotion of the rebellion of the youth and the militant women's movement, for determined environmental protection, antifascism and the anticapitalist alternative. Even if they are still a small minority, the votes that are deliberately given for a radical left-wing, revolutionary, socialist alternative are also growing. These results are being closely monitored, and the positive trend is giving these concerns, our concrete demands, the MLPD and the Internationalist Alliance more weight in the public eye. I would like to take this opportunity to thank all of the about 5,000 to 8,000 activists for the great work they have done and the good and trustful cooperation. Under the given conditions – and despite the increased breadth of the alliance – a breakthrough in parliamentary terms was neither our goal nor realistic. We experienced an entire system of electoral obstacles and manipulation. In the nationwide mass media, we were still faced with virtually complete censorship. This is where deliberate decisions, orientations and guidelines based on modern anti-communism rule. So we know that in all editorial offices there has been discussion about our campaign, our posters, etc. The fact that they have not reported is an attempt to isolate us politically by means of a kind of cartel of silence. An analysis of news broadcasts in August alone showed 314 appearances of the SPD, 273 of the CDU, 113 of the Greens, 68 of the CSU, 50 of the Left Party, 39 of the AfD and 24 of the FDP. Not a single time were there reports about the MLPD or one of our allies, let alone that someone was able to speak. Correspondingly, there are a lot of people who simply don't know us at all yet. In the online media there was a broad debate in face of the slander of Volker Beck (Greens), the demands of Frauke Petry (AfD) for a ban against us. But those were almost nothing more than slanderous articles. The lie was spread that, in view of our solidarity with the Palestinian liberation struggle, a "terrorist organization" would be running for the Bundestag elections. Even over this debate, which was followed by hundreds of thousands of people, all the major national newspapers and TV stations remained silent – all the more with regard to the truth. In the future, it will become more common for the MLPD and the Internationalist Alliance, as main opponents of the shift to the right, to become its targets. It is then, of course, important that we extend our offensive. This is exactly what we have done: we have countered this attack excellently, and the Alliance has grown closer with that. We were able to obtain an interim injunction against the man behind the smear campaign, Volker Beck – an MP of the Green Party until election day. Frauke Petry from the AfD had to delete her lies about us on the Internet. This has brought us a great deal of sympathy, especially among Kurdish and Palestinian people and the respective solidarity movements. At certain local points we were able to break through the media censorship and, in some cases, the relative isolation. There were over a hundred local media reports. These include a number of diverse and sometimes positive or at least factual presentations of the candidates. Where such reports have been published, we have generally also been able to achieve significant increases in the voting results. In many cities, our direct candidates remained almost completely unmentioned in public – such as Lisa Gärtner in Gelsenkirchen, where we have our strongest forces and the greatest political influence. We fought for every vote and at the same time, as a revolutionary party, we fought an "anti-election campaign" against bourgeois parliamentarism. In the Bundestag elections, the petty-bourgeois parliamentary mode of thinking is mobilized to a particularly high degree. This time, AVAAZ, the large Internet portal with a progressive claim, even called explicitly to: "Vote tactically". Campact also launched such a campaign ("Whoever wants to weaken the AfD must now vote strategically"). We have also used the election campaign to develop an information campaign on the role of the bourgeois mass media as a central component of the system of the petty-bourgeois mode of thinking. The mass media are extremely monopolized. The television networks ARD, ZDF, the RTL media group and ProSiebenSat.1 account for almost 90 percent of the TV audience. It is also becoming increasingly clear that AfD people and other reactionaries themselves occupy important positions. The chief editor of ARD, Rainald Becker, a reactionary "anti-terrorist agitator", spoke out several times in favor of data retention, telephone and online monitoring. Nicolaus Fest, former deputy editor-in-chief of the German newspaper Bild am Sonntag, is now a public speaker of the AfD. The head of the AfD in Lower Saxony and VW protector Armin-Paul Hampel was a journalist at RTL, Sat.1 and ARD for many years. The "left-wing extremism" campaign and the systematic spreading of modern anti-communism over the years also had an effect, countering a spontaneous turning to us. All in all, modern anti-communism has been losing its impact for years. The spontaneous attraction of our party is developing positively, especially in connection with workers' and mass struggles and also in direct contact with us. The impact of modern anti-communism, especially in connection with the petty-bourgeois parliamentary mode of thinking, should not be underestimated. Other parties such as the revisionist DKP or the Trotskyite SGP could do little to counter modern anti-communism. The DKP had 11,713 second votes. In its last nationwide candidacy for the European elections, it received 25,147 votes in spite of a much lower voter turnout. The SGP dropped dramatically from 4,564 to 1,346 second votes. The Internationalist List/MLPD thus obtained more than twice as many second votes and even three times as many first votes as these other parties with socialist aspirations combined. It certainly paid off that we openly propagated genuine socialism and exposed and attacked modern anti-communism, instead of avoiding controversial topics like Stalin, for example. This was explicitly acknowledged by individual people, for example old communists. The MLPD's focus on running the election campaign as a tactical offensive for genuine socialism and against modern anti-communism was therefore exactly right. However, we were also affected by the fact that this time 42 parties stood as candidates, more than ever before since reunification. Smaller parties with at least partly progressive aspirations (such as the Party for Animal Protection) were also able to increase their votes. They were an outlet for progressive people who, influenced by modern anti-communism, did not want to choose what was in their eyes a "too radical party". Where the seeming alternative of alleged protest parties was lacking, our real potential is much more clearly demonstrated. The candidates received the most votes where an AfD, left-wing party or Pirate candidate (or even several) was absent: Helmut Zagermann, who competed as an individual candidate in Zwickau, had the best individual results with 1,613 votes. In Recklinghausen Sabine Leopold received 1378 and could quadruple her results. Lüder Möller obtained 953 votes in Lübeck. In Ennepe-Ruhr Achim Czlwick obtained 688. When evaluating the elections results you have to take into consideration that two groups that were especially active in building up the Internationalist Alliance were not eligible to vote: migrants and young people under 18. It was very remarkable that under these difficult conditions against a headwind we were able to make such good gains. How do you evaluate the election campaign of the Internationalist List/ MLPD? It took up more and more speed, and it is not an exaggeration to talk about one of our most politically successful election campaigns so far. MLPD continues to grow into its new social role. The Internationalist Alliance has grown together and consolidated; building up trust and a mutual learning process were key factors. From the outset, we saw the raising of awareness among the masses and the strengthening of MLPD, Rebell and the Internationalist Alliance as the most important tasks in this election campaign. 150,000 posters were hung up everywhere, about four times as many as in 2013, and we have continued to work to ensure that anyone looking for us can find us. We will certainly have to extend this mass impact. 600,000 election programs were handed over personally or distributed. This time, the MLPD website had twice as many hits as in the 2013 election campaign and eight times as many as in politically calmer times. With our election campaign, we have certainly reached over one million people in some way or another directly – at rallies, discussions and the like. Measured against this one million, whom we were able to reach directly with our limited possibilities, with our 62,000 voters we were able to convince 6.2 percent to vote for us. Of course, not everyone votes for us just because of a good discussion or rally. But people will remember, keep themselves informed – the more their experiences and political developments confirm our arguments. Of course, we must continue and expand our work well for this. We increasingly succeeded in conducting an election campaign around individual people with personal posters and at least 210,000 candidate flyers. The MLPD distributed tens of thousands of party programs for an average of one euro donation, 2,700 in the last four weeks alone. More than a hundred election rallies were held with leading representatives of our Central Committee and the top candidates on the national lists. New elements such as women's power tours, countryside tours, hotspot tours, election campaigning in the tram etc. have been developed. For me personally, it was a particular pleasure to join thousands of comrades and supporters on my campaign tour of the republic, to become active together locally, to get to know each other and to come more closely together. The intensive distribution of the theoretical writing of the MLPD On the Emergence of the New-Imperialist Countries especially contributed to the deepening of awareness. It was worked out by Stefan Engel, the long-standing chairman of the MLPD, as head of the theoretical organ Revolutionärer Weg. 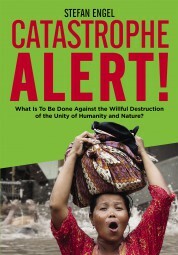 It strikes a chord in a lively international debate on the far-reaching changes in the world. The first edition of 5,000 copies is largely sold out at the publisher and reprinting has begun. The first 25 events were held on this topic. Based on the selfless efforts of thousands of campaigners, we have self-financed our campaign through individual donations and many financial activities and raised 474,381.59 euros in donations from the masses. All this was, above all, a great process of self-change. MLPD and Rebell learned better and better how to fight for every vote, attack, persuade, empathize with the people, to go into the offensive, polarize, attack modern anti-communism, etc. The Central Committee developed close ties with the party base throughout Germany. The organization has grown more closely together with the many activities for mutual support and the fighting unity of young and old in the change of generations. It was our first nationwide election campaign that was not personally led by Stefan Engel, the former party chairman. He was always on hand to provide advice and assistance. But the party's new political leadership led this campaign, and the reports from the organization agree that it has succeeded. Even if election results are always only a relative indicator of consciousness – what can you infer from the concrete election results? Our worker candidates proved to be a great asset, especially in connection with the struggles of the workers and mass disputes in the factories. In North Rhine-Westphalia, for example, in the midst of the final phase of the election campaign, we had placed our emphasis on supporting the struggle of the thyssenkrupp steel workers for every job. For us,"politics for workers instead of billionaires" is not an electoral campaign phrase, but a core element of our rank-and-file work. It was also entirely right to make the VW crisis the number one election campaign issue. We have gained in almost all VW cities and especially in important centers of the Ruhr area such as Recklinghausen or Bochum. We have been much better at implementing our main line of struggle in factory and trade union work than in previous election campaigns. We have also gained in new areas of party building and in extended areas. This was particularly successful if direct candidates were also put up there. In Helmstedt-Wolfsburg, for example, we doubled the second votes. In Prignitz - Ostprignitz-Ruppin - Havelland I, dairy farmer Arnold Blum obtained 386 first votes, and the second vote was more than doubled. Election helpers from the centers of our work, especially the MLPD county associations, did a lot of this building work – which required cutting back the work at home. This was a major achievement of mutual support and solidarity. We received a clear increase in the number of votes in some cities with a particularly high proportion of migrants and organized structures of our alliance organizations. For example in Berlin, Hamburg, Ludwigsburg or Darmstadt. This is also a result of the active election campaign of the member organizations in the Internationalist Alliance. ATIF and AGIF issued their own convincing election appeals, and there has been intensive campaigning in Kurdish circles and among Palestinian friends. However, SPD, Greens and especially the Left Party have also tried to influence the Kurdish movement through various channels. Of course, there is also a conflict among migrants between the reformist and the revolutionary wings. Our youth candidates have done a great job and developed great attraction, not only among young people. They received consistently good first vote results. We were also able to gain where the external conditions were rather negative, with particularly strong media censorship, etc., but we were able to compensate for this with a higher quality and intensity of our rank-and-file work. The Gelsenkirchen electoral district is clearly the nationwide leader in second votes with 388 votes. This also shows that the influence here is stronger. The development of the number of votes differed in the federal states. Compared to 2013, we were able to increase the number of second votes in all western federal states (except Rhineland-Palatinate). This was particularly pronounced in Bremen, Hamburg, Baden-Württemberg, North Rhine-Westphalia, Schleswig-Holstein and Hesse. In Hamburg, Berlin and North Rhine-Westphalia, we were also able to surpass the second vote results of 2005. In the eastern German states, we lost considerable numbers of votes in Saxony, Brandenburg and Saxony-Anhalt, while in Thuringia and Mecklenburg-Western Pomerania we were able to increase our votes, with the overall level remaining at its highest in the eastern states. The top candidates proved themselves, such as Monika Gärtner-Engel in Baden-Württemberg, Reinhard Funk in Lower Saxony, Peter Weispfenning in Hesse, Stefan Engel in Thuringia and Lisa Gärtner in Mecklenburg-Western Pomerania. But also the local candidates and activists "gave everything". In East Germany, the protest potential and openness to a socialist alternative is particularly pronounced. That is justified because it is really absurd that after almost 30 years of reunification, wages are still up to 30 percent lower than Western wages. In three successive election campaigns, Merkel promised equal pensions – and broke the promise. At the same time, the influence of the Left Party and the AfD is also more widespread in the East. Wherever we engage in this battle over the mode of thinking with determination our influence grows; if we shrink back from it, it has a negative impact. We need to be much more courageous in the centers of AfD supporters and discuss with people. It is also important to intensify party construction in Eastern Germany over the next few years and to position ourselves differently than before. The relative weakness of party building there is certainly also a factor for the strength of the AfD. The entire system of rank-and-file work must be built up and expanded. How has it been possible to bring the Internationalist Alliance to bear, to consolidate and to broaden it? How should we proceed with the Alliance? The Internationalist Alliance had recognized the signs of the times, had made the fight against the shift of government and bourgeois parties to the right the center of attention and had already united against it one and a half years ago. The message was: no single force can successfully counteract such a dangerous worldwide development. Alliances between equals are the order of the day. The alliance was able to strengthen itself considerably in the election campaign and now has at least 21,000 supporters. The 16 supporting organizations have grown together much more closely. This time it was not an election campaign of the MLPD that was supported by others, but really a common cause. The workers' platform published a brochure on VW, the first edition of which was quickly sold out. The youth platform, the women's platform and the environmental platform also took their first steps. There were several events "In the name of the 'anti-terror struggle'". The panelists attending the meeting went beyond the circle of the alliance organizations MLPD, ATIF, AGIF, ADHK, Linkes Forum Radevormwald and Palestinian friends: representatives of the Anatolian Federation, Kurdish representatives, representatives of the Red Aid and progressive Afghan organizations also took part. One highlight was the demonstration of solidarity with the ten indicted revolutionaries of the ATIK in Munich one week before the election. Two buses from Baden-Württemberg traveled there. 200 people expressed very moving solidarity and respect for the steadfastness and fighting morale of the political prisoners. What was also new was the cooperation of the Alliance's forces in voter action groups, and we should consider how to continue this cooperation in an appropriate form at a regional or local level. A meeting of the Alliance Council will take place shortly, at which all this will be discussed in more detail. It is also worth considering holding another federal congress of the Alliance in the autumn. From our good starting point, we believe that the Alliance should set itself ambitious goals to take account of the changing social reality: I could imagine that systematic efforts are made to make it a broad mass movement with at least 100,000 supporters and 50 supporting organizations that go far beyond the present spectrum. More anti-fascist forces should be involved, migrant organizations of other nationalities, progressive municipal political forces, young people, other revolutionary groups among which there is a great need for uniting. Non-party affiliated organizations are also in demand here, which understandably could not and did not want to position themselves in terms of party politics in connection with the election campaign. The alliance is clearly non-party aligned in its open-door policy. In any case, there is great potential for strengthening it. In many places youth work was a trump card in the election campaign. Has this already lived up to the standards you set in your last interview with the Rote Fahne? This time we did not deliberately conduct an extra youth campaign, but rather focused the whole election campaign, all campaign activities on the youth. We made important progress in this respect. At the summer camp of Rebell many young people were trained by Stefan Engel in a lasting way on how to conduct rallies, organize, argue and win people. We developed methods which are attractive to the youth, such as youth concerts. The youth concert in the Nordsternpark in Gelsenkirchen with over 250 visitors was jointly organized by Rebell with one hundred young people and children and was an internationalist highlight of the fraternization between migrants and Germans, as well as young and old. On September 1st a youth demonstration was organized in Stuttgart on the occasion of Anti-War Day with 200 participants from eight organizations, especially the Internationalist Alliance, under the slogan "Against all imperialist aggression – Youth against fascism and war!" There was also a profound youth education day for "100 years October Revolution". Rebell continued to make its mark in the fight against deportations. Many of its new members are refugees, so that you can experience internationalism live in Rebell. MLPD received eight percent of the votes at the U18 elections in Gelsenkirchen. We were also able to found some new Rebell groups. The tactical offensive has raised the awareness for the importance of addressing the youth on a massive scale. However, the self-change to make Marxist-Leninist youth work the mass tactics of party building is still highly underestimated. To achieve this, we have to think and change a lot: evaluate experiences, work theoretically, regroup forces, convince and instruct every comrade, how and where to do youth work, organize the interrelation with Rebell correctly, etc. We have gained experience in this work, but the real qualitative leap is still to come. Is the MLPD strong enough in the face of the challenges? There is no doubt that our forces are not in an adequate relation to the social tasks and challenges particularly of the future. Due to our still insufficiently developed mass influence, we are not yet in a position to steer the protest potential to a greater extent in a progressive direction. So, of course, it is right to protest against the AfD now, to organize demonstrations and so on. But that's not the most important thing. MLPD, Rebell and the Internationalist Alliance need to be built up much more intensively in order to really win the masses for a progressive and revolutionary alternative. We must also draw conclusions in our work to promote progressive self-run organizations of the masses, the Monday demo movement and so on. Basically, you have to think about all areas of work, how they have to develop after this election. It is becoming apparent that Monday's demos will become an even stronger forum for the merger against the government's shift to the right. Already on the Monday after the election there were lively discussions which drew a lot of attention from passers-by. Social issues such as low pensions and wages (not only) in the East, the oppression through the Hartz laws, must also be brought up more for discussion again. MLPD and Rebell were able to win a whole number of new members. With vigor and persuasiveness, the fight for the goal of winning 30 percent new members continues. Because this victory must be secured! This is expressed most lastingly in the organization of more and more people in MLPD, Rebell and the Internationalist Alliance. It is essential that we devote the time and concentration to systematically caring about thousands of new contacts. This will be a major task in the coming months! Strengthening the MLPD is a key social-political concern of this time. For this purpose, the forces must be regrouped above all for youth work. We need to have more time in the party for guidance, control, counseling and training, and improve the level of our work. This also includes more calmness and thoroughness. In two weeks' time, the autumn activities for "100 Years of the October Revolution" will start. How important will this be in the coming weeks? I assume that these activities will have a fundamental impact. The debate on "100 Years of the October Revolution" will become more and more the focus of social debate as we move closer to the decisive historical dates. This will be a massive ideological battle between modern anti-communism and genuine socialism. It's very good that we could now release the film about Lenin. Its premiere was attended by 350 people, and it has now also been published in the Internet. It should now be shown everywhere, at home, with friends, at party events or in small groups, and in sections of the film on specific topics. We use this historic date to discuss the manifold teachings of the October Revolution for today on a massive scale. This will also be an important date for the ICOR and the Internationalist Alliance. Because on this occasion every progressive organization that takes itself seriously has the need to exchange views, unite and discuss how to prepare for a new revolution. The climax of the ICOR campaign "100 Years October Revolution" in terms of content is the International Seminar "The theoretical and practical lessons of the October Revolution" from 27 to 29 October. We expect about 1,000 to 1,500 participants from Germany and abroad. Well-known representatives of the international revolutionary and working-class movement will be taking part in this event. However, it is a mass seminar that also thrives on the broad participation of workers, women and young people. The joint preparation of five-minute speeches for this seminar will be a focal point of our work in the coming weeks. Already now you can follow the international Internet discussion forum moderated by Stefan Engel on the ICOR website and get various suggestions for the discussion. We also will invite many people to the cultural event that takes place on 28 October in the Emscher-Lippe-Halle in Gelsenkirchen. For both events in Germany, tickets must now be sold intensively, people must be won and the personal and collective preparations must be tackled. Then the trip goes to St. Petersburg. On 7 November – exactly 100 years after the beginning of the October Revolution – the international revolutionary movement will be there together. I am sure that these will be unforgettable days which will greatly enhance revolutionary enthusiasm, scientific clarity and our attraction for the masses.